For almost 30 years, we have been supporting companies and public institutions from a wide variety of sectors – from the energy industry to the healthcare sector to the service sector. Our knowledge of the specific challenges of each individual sector and the individual needs of our customers make us a reliable, competent and experienced partner at your side. We are proud of this. Convince yourself and discover the variety of projects that we have already successfully completed. A-ROSA uses enaio® for invoices and contracts. bpi solutions, a long-standing partner of OPTIMAL SYSTEMS, implemented the administration of accounting documents in enaio®. The ADAC is planning to implement a central and flexible enterprise content management solution across all associations over the long term in order to create uniform organizational structures irrespective of the federal structure of the association. The company-wide ECM system of ALLERGOPHARMA, a company active in the regulated pharmaceutical environment, must meet a wide range of demanding requirements with regard to electronic archiving. alstria office REIT-AG relies on enaio® to ensure audit-proof archiving of business-relevant documents. Anita Dr. Helbig GmbH started the ambitious project of electronically mapping almost all of the company’s document and information processes. In the areas of personnel and finances, ANTENNE BAYERN relies on enaio®, which interfaces with their existing accounting software (Wilken). The company introduced our enterprise content management software to replace their digital archive. The new system was then turned into the leading company-wide information platform. enaio® helps AS DNB Banka decide, control, and process mortgage loans more quickly and effectively. OPTIMAL SYSTEMS’ ECM software is used by every employee at this Swiss Federal Office as their centralized system for business processing. All administrative tasks could be processed electronically as a result of the adjustment to the GEVER standard. CarGarantie chose enaio® to efficiently manage its vast number of international contracts. enaio® supports the entire contract creation process in CarGarantie’s legal department. Thanks to digital construction records based on enaio®, all information on customers and their projects can be managed and quickly accessed in a single system. Digital tenant records, archive, and workflows for secure and fast workflows: degewo AG has introduced the ECM software from OPTIMAL SYSTEMS as a group-wide information management platform. Develey, volume market leader in the German mustard market, is introducing enaio® to switch over to digital archiving and electronic document management. EDEKA relies on ECM software from OPTIMAL SYSTEMS to optimize access to documents and information across the company and thus create new ways of tapping into the corporate knowledge pool. ENGESER uses the ECM software enaio® as a leading system integrated with SAP. Prior to the implementation, 1.26 million items of legacy data were digitally archived, and about one million are added to the archive each year. ERIKS is a leading international industrial services company that offers a wide range of high-quality mechanical engineering components and related services. Faced with a high volume of documents, FEINGUSS BLANK GmbH was quick to recognize the advantages of digital document management and opted for OPTIMAL SYSTEMS software in 1997. Thanks to an interface to the existing ERP system (proALPHA), it was possible to implement a seamless workflow in the ECM system. In addition, the old digital drawing archive was replaced. To minimize the associated effort by digitally mapping the associated business processes, GIFAS-ELECTRIC introduced ECM technology from OPTIMAL SYSTEMS. The solution introduced efficient and secure workflows for various tasks, such as invoice management. The National Association of Statutory Health Insurance Funds has introduced the ECM software from OPTIMAL SYSTEMS with the goal of setting up an integrated information management platform. Goldhofer was looking for an IT solution to meet the increasing regulatory requirements for transparent and complete documentation with regard to tax-relevant information. At the same time, the company was looking to simplify work processes, make business processes more transparent, and improve quality management. Due to steady growth in recent years, the requirements for a central information management have changed, prompting the company to introduce the enaio® ECM software across the company. The optimization of HR management was one of the key goals of this digitization project. The company was looking for a highly comprehensive system that could meet their complex requirements without fail. The ECM software from OPTIMAL SYSTEMS was able to meet these requirements and convinced Häcker Küchen as a new solution. The company was facing challenges after expanding to various new locations and into new business areas, because the efficiency and effectiveness of various company processes were suffering as a result of this expansion. After its successful implementation, the enaio® ECM solution is in use across the company. 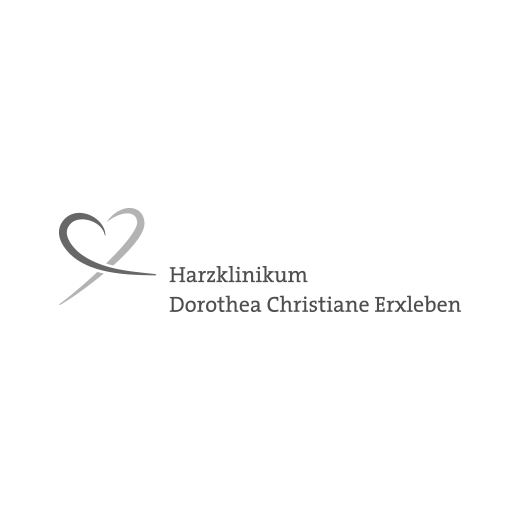 Faced with a steadily increasing documentation and administrative effort exacerbated by insufficient space and personnel, Harzklinikum Dorothea Christiane Erxleben decided to introduce a company-wide enterprise content management (ECM) system back in 1998. Since then, the OPTIMAL SYSTEMS software has been in use. Working with paper documents resulted in major disadvantages, such as multiple filing, cumbersome searches, or time-consuming archiving. For these reasons, HSS was looking for a solution to make document handling more effective in order to save time and money. The non-profit wanted to introduce a modern IT infrastructure based on a central DMS for handling all information and documents arising in the clinic. Another goal was to integrate the existing IT systems and to digitally map all previously paper-based processes. In order to ensure efficient data management, Katholische Kinderkrankenhaus Wilhelmstift GmbH decided to introduce a modern archiving solution. After an in-depth review of solutions from various providers, Katholische Kinderkrankenhaus Wilhelmstift GmbH opted for the enaio® enterprise content management software from OPTIMAL SYSTEMS. The digital dictation tool, combined with electronic speech recognition in the enaio® solution for rehabilitation clinics, has proven particularly useful for the Münsterland Clinic in Bad Rothenfelde as it helps to save a lot of time. The digital project record was introduced as a central solution for archiving and managing all project information as well as correspondence and CAD documents. An ECM solution for sales was added to replace the existing customer relationship management solution. The introduction of the various ECM solutions for personnel, project, contract, and workflow management was handled by internal IT specialists of Mediengruppe Pressedruck right from the start. Individual, high-quality consulting and customer support is one of NBank’s top priorities. This requires an extraordinary amount of knowledge, which is distributed among the bank’s more than 450 employees. The constant, effective, and sustainable distribution of data and documents is therefore indispensable. Panasonic Automotive uses digital document management in several areas. The company uses the ECM software from OPTIMAL SYSTEMS for invoice processing (invoice receipt workflows that integrate with the ERP system) and for quality management, primarily in the context of production documentation. The decision to opt for software from OPTIMAL SYSTEMS was made following an extensive selection process. The flexibility of the software and the ability to adapt the solution to the individual requirements and needs of the media group played a major role. In 2014, the company therefore switched to digital document management and digital archiving. enaio® allowed the company to digitally map all patient data relevant for treatment as well as assistance services and all consulting processes. When it comes to small built-in appliances for the kitchen, ritter is one of the top manufacturers in Germany. The challenge: The key motivation behind the decision to purchase an ECM solution was the excessive use of paper in customer service. Complicated processes, a large number of copied paper documents, and time-consuming searches slowed down work substantially. The company has invested in OPTIMAL SYSTEMS software as its company-wide platform for handling information flows – with improved document management, easily retrievable information, and sustainable customer support as a result. The core project goal is to implement transparent procurement processes through central invoice receipt processing and the introduction of a contract and investment management system. Schoeller-Bleckmann Oilfield Technology GmbH (SBO) is the world’s leading manufacturer of high-precision parts for the oilfield service industry. Thanks to enaio®, each of the departments now have their unique view on the document and information pool according to their needs. Schweitzer Fachinformationen introduced the enaio® ECM software to set up a uniform information management platform that replaces three old archiving systems. The ECM software from OPTIMAL SYSTEMS was introduced to meet the company’s constantly increasing business requirements. The ECM system takes on the role of the central data pool and thus enables data exchange between the various applications. The aim of the project was to improve work processes and make them more flexible. Another goal was for branch offices to gain anytime access to customer files in order to ensure that employees can always act on and provide up-to-date information. star.Energiewerke (Rastatt) relies on digital records and electronic workflows for contract management. Contracts whose original documents used to be difficult to find are now available in an instant. The hospital has been using enaio® since 2008 and has been continuously expanding the system since then. The long-term goal is to completely eliminate media discontinuities in document transmission. enaio® is being used in clinical departments such as surgery, psychiatry, or pediatrics, among many others. The ECM software was also introduced in administration. The HR department is soon to benefit from the advantages of digital personnel records because all processes related to personnel management will be consistently implemented as digital workflows. Digital Contract Management at the Valora Group – The key objectives were to standardize corporate processes and gain improved transparency as well as minimize risks with regard to contractual terms. After introducing the enaio® ECM system, the hospital can now bundle data from various sources in electronic records and archive them digitally in an audit-proof manner. enaio® introduced a hospital-wide information platform, greatly improved transparency, and provides an overview of all data and documents. In order to improve their contract management, Kabel Deutschland was looking for a solution to implement a central contract archive. Key requirements included setting up common read access to the central contract portfolio for all departments and the definition of clear responsibilities by assigning contract owners. The introduction of an enterprise content management system was preceded by a long test phase, which was carried out with the support of ECM consultant Zöller & Partner. The Volkswagen Foundation decided to use the OPTIMAL SYTEMS ECM system to process funding records and thus relieve the burden on the departments. Ever since Zeppelin Baumaschinen GmbH introduced digital records, the archive has been getting emptier by the day: Four kilometers worth of files have been scanned and disposed of, and Zeppelin benefits from the versatility of the enaio® enterprise content management software from OPTIMAL SYSTEMS.